Well, my blogging frequency has kind of declined in the past two weeks. My body’s been craving sleep but I think I managed to catch up on my rest and my healthy is back to normal-ish! A few months ago I attended my first Dave Lackie event and got to take a backpack with some Clarins products. Up until that day, I have only ever used Clarins skincare products but not their makeup. 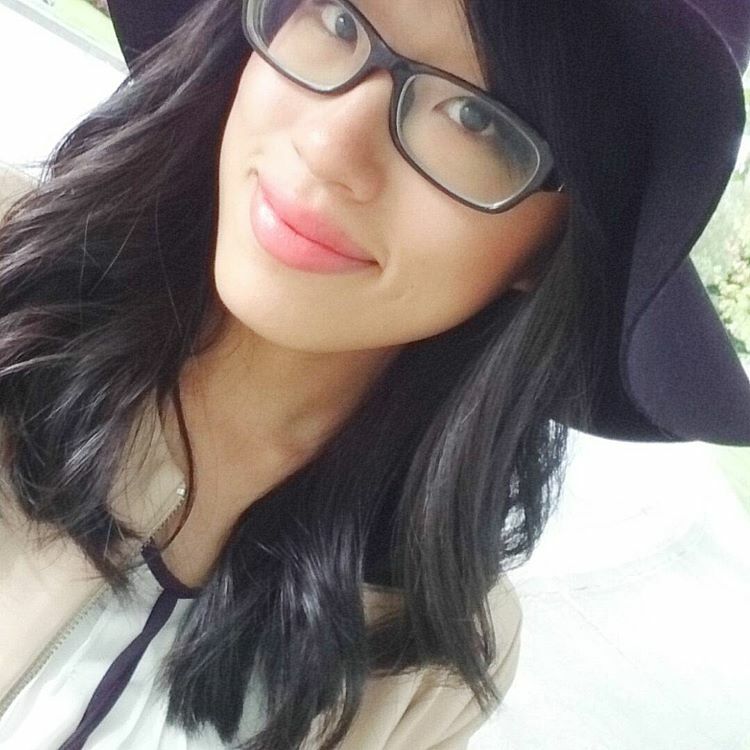 I’ve read many posts about Clarins Joli Rouge Lipstick before and was stoked to receive one! 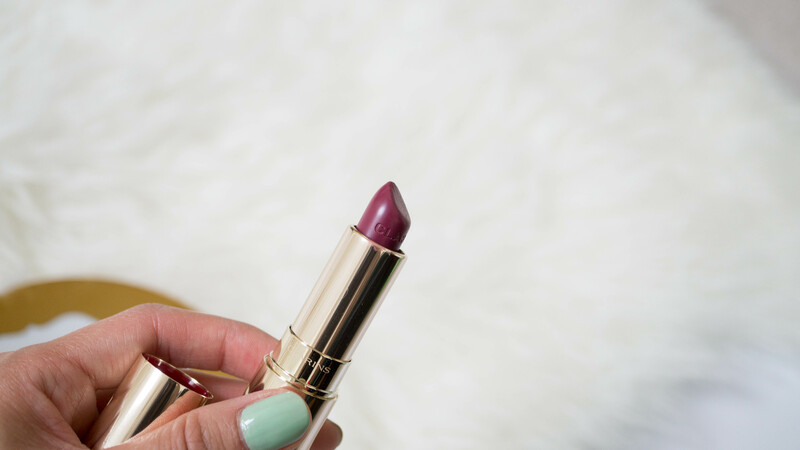 It may be a month away from summer but I’ve been sporting this #744 Soft Plum shade anyway! From what I read, the Joli Rouge lipsticks are repackaged from their original lipstick line. I have not tried the original formula or seen the original packaging (ugh I’m so out of it,) but at least I’m here for the new collection! 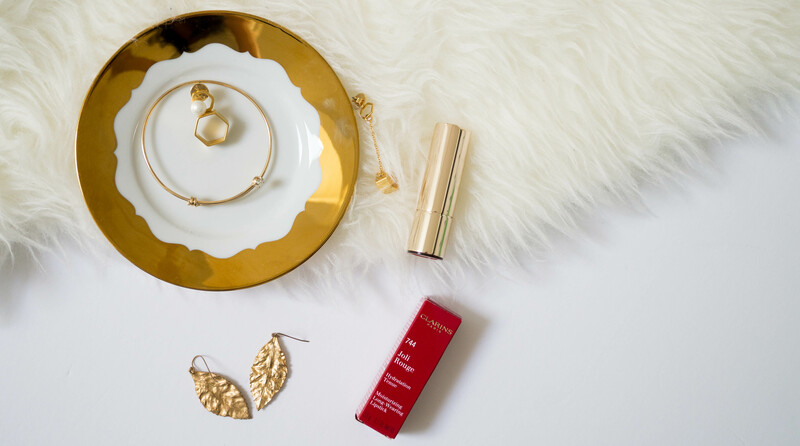 Clarins Joli Rouge lipsticks ($28 CAD) come in a sleek, gold tube. I like the little indent on top of the lid; very classy, Clarins. The lipstick bullet has a bit of a concave curve on it so it hugs neatly onto your lips as you glide it. 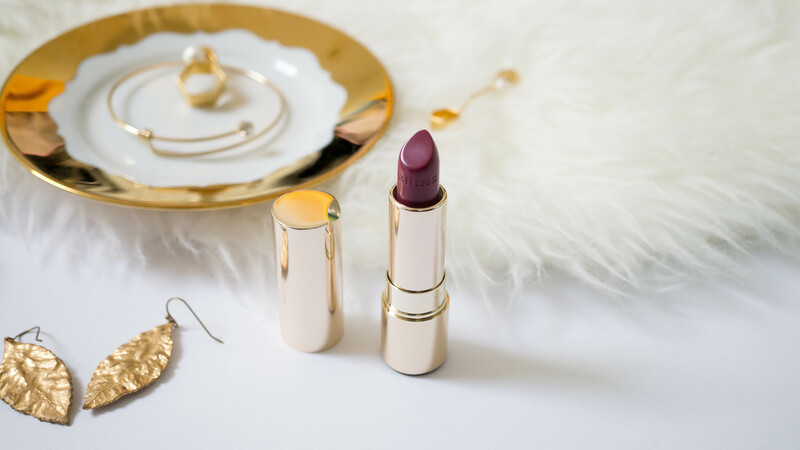 The Joli Rouge lipstick has a buttery formula and it feels like a lipstick with the properties of a lip balm (which is the best kind of lipstick for dry lip girls like me!) It contains Mango Oil and organic Marsh Samphire, a succulent plant and contains vitamins and minerals. These are supposed to provide 6 hours of hydration and hold. Though I haven’t worn it for that length of time (since I got to eat my meals!) but between morning to lunch, my lipstick did a good job of staying on. Even after dabbing off so I won’t get lipstick in my noodles, my lips didn’t feel parched. Soft Plum isn’t bright and summery, but it matches my sweater of the day and that’s what counts. I can see myself wearing this lipstick shade in September with a blanket scarf and a beanie, plus some knee high boots. 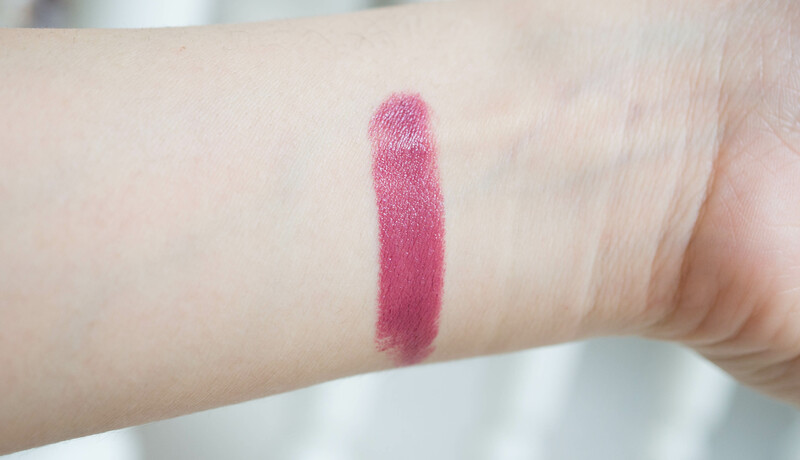 The lipstick has a satin sheen which makes my lips look voluminous and moisturized. 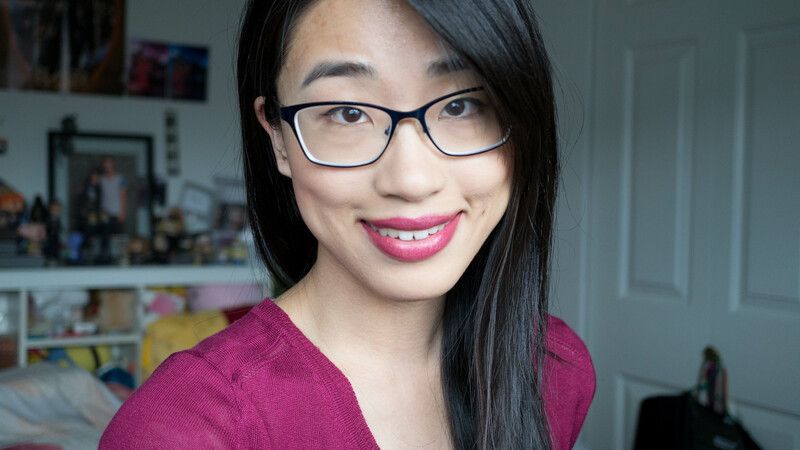 Overall; the formula of the Joli Rouge lipsticks are super comfortable and I so want to get more shades that I would wear more often, such as pinks and corals. The formulation is spot on and the price is justifiable compared to prestige brands. Who doesn’t like a long lasting lipstick that provides A+ hydration?! Also, I am blown away by the quality of Clarins makeup and will be sharing some more on here soon! What’s your favourite makeup product from Clarins?